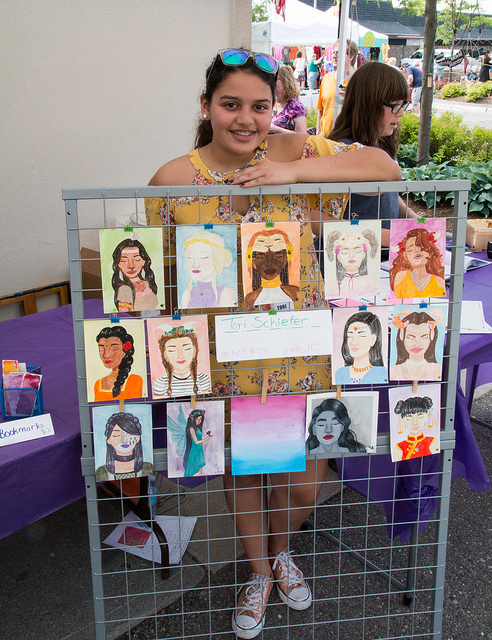 Now accepting applications for the 2019 Kids Art Alley! kids art alley WAS THE newest addition to THE 2017 ART on the GRAND AND WAS A HUGE SUCCESS! kids art alley FEATURES young local artists who ARE on SITE to talk about and sell their own creations. Traversing Grand River, from the alley between Sunflour Bakehaus and Grace Insurance to the alley between The Vines and The Rocking Horse. for helping to support this year's KIDS ART ALLEY! Sunflour Bakehaus' alleyway will feature the KIDS ART ALLEY Artist Market. Thank you! We'll add you to our list!